Product prices and availability are accurate as of 2019-03-14 01:22:17 EDT and are subject to change. Any price and availability information displayed on http://www.amazon.com/ at the time of purchase will apply to the purchase of this product. 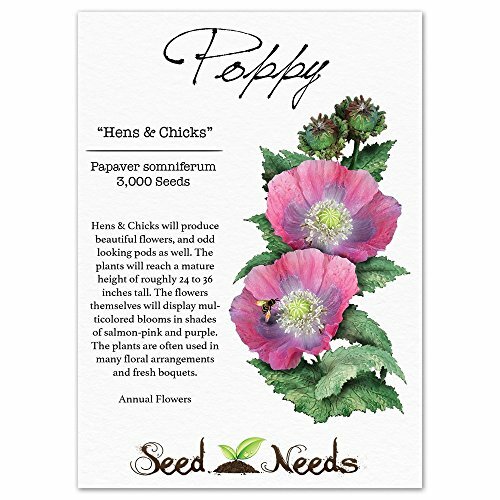 Grow a garden thats filled with Hens and Chicks Poppies, from freshly harvested Papaver somniferum seeds. Hens & Chicks will produce gorgeous, salmon-pink colored blooms, which are accented with a secondary shade of purple. The plants will grow to a mature height of roughly 24 to 36 inches tall, displaying slender stems and attractive foliage. The plants flower during a few short weeks, later wilting with the heat of summer. One the petals fade, large pods are left behind. 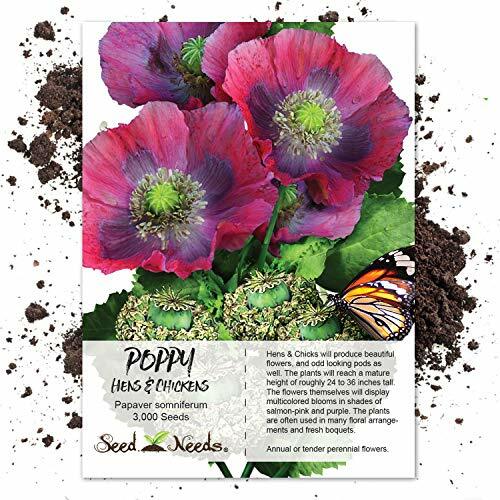 This variety is great for use in many fresh floral arrangements and bouquets, and is also widely used in many insectaries and butterfly gardens as well. 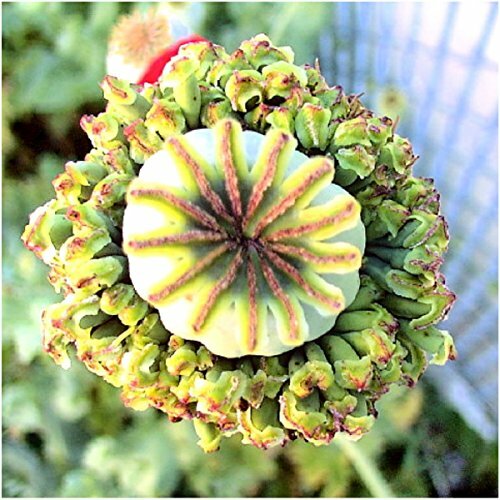 Quality Hens & Chicks Poppy seeds packaged by Seed Needs. Intended for the current and the following growing season. Packets are 3.25" wide by 4.50" tall and come with a full colored illustration on the front side, as well as detailed sowing instructions on the reverse. 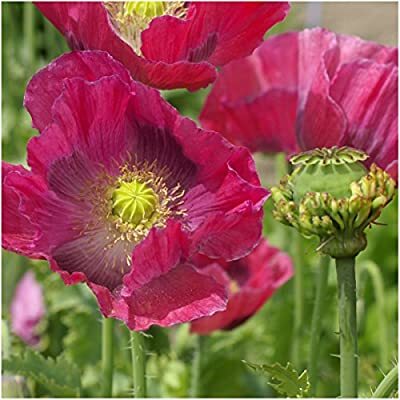 Hens & Chicks Poppies will grow to a mature height of roughly 24 to 36 inches tall, displaying large, salmon pink, to purple flowers. The plants will bloom for a few short weeks, later wilting with the summer heat. Large pods are left behind. Hens & Chicks is a great flower for use in many bouquets and floral arrangements. They are also popularly sown by the masses in butterfly gardens as well. 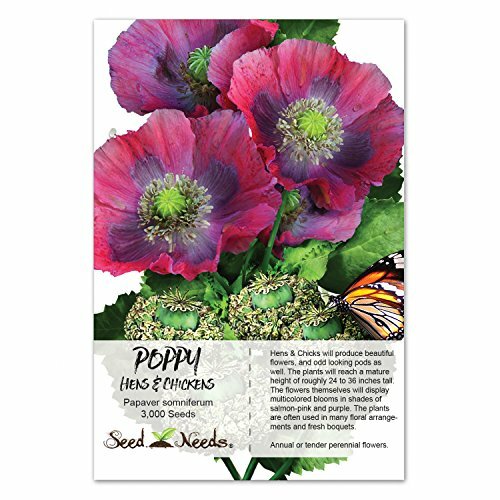 All Somniferum Poppy seeds sold by Seed Needs are Non-GMO based seed products and are intended for the current & the following growing season. All seeds are produced from open pollinated plants, stored in a temperature controlled facility and constantly moved out due to popularity.